Working with our customers to get it right, first time. Graph Engineering prides itself on providing a quality service to our customers on all levels. We test our finish using independent laboratories quarterly to ensure we are outperforming our competitors' finishes. We operate to the highest possible standards and comply with all military and ASTM specifications in both our operating practice and our testing. We are ISO 9001 approved which demonstrates our commitment to quality and our disciplined approach to quality. 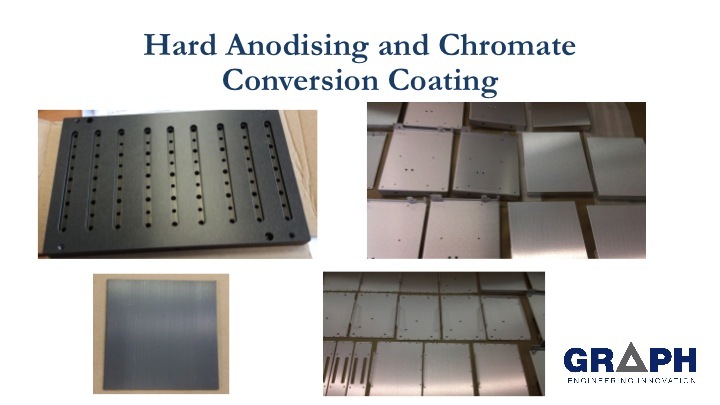 We offer the capacity to anodize batches of components ranging from 15 to 50,000 while maintaining colour and finish integrity across the batch. Our maximum process length for components is 1800mm for clear anodising, black anodising and hard anodising. The size for coloured work is available upon request. Graph offer a standard lead time of 3-4 days for the processing of most orders, however we understand that there are often circumstances which do not allow such lead times. To that end we also offer a ‘premium service ’which allows product to be processed within 1-2 days and also a ‘platinum service’ which dependant on finish, batch size and component size can have a lead time as low as 8 hours. We are able to offer rapid response to quotations and can accept drawings in a wide range of electronic formats to make the quoting exercise more accurate and timely. Graph Engineering is based in a 465m2 metal finishing facility, located close to the M50. The capacity at Graph is approximately 50,000m2 per annum. 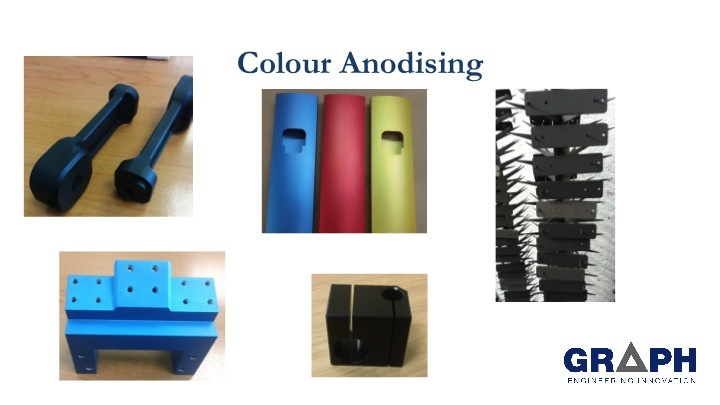 The maximum process length for components is 1850mm for clear, black, blue and hard anodising. The size for other coloured work is available on request. The maximum sizes for extruded assemblies are approximately 1800mm length x 1000mm depth x 500mm wide. Graph has a strong engineering team with extensive experience in providing quality services to a variety of industries including the aerospace, electronics, oil & gas, motorsport and medical sectors. Graph also offers a range of mechanical finishes (e.g. 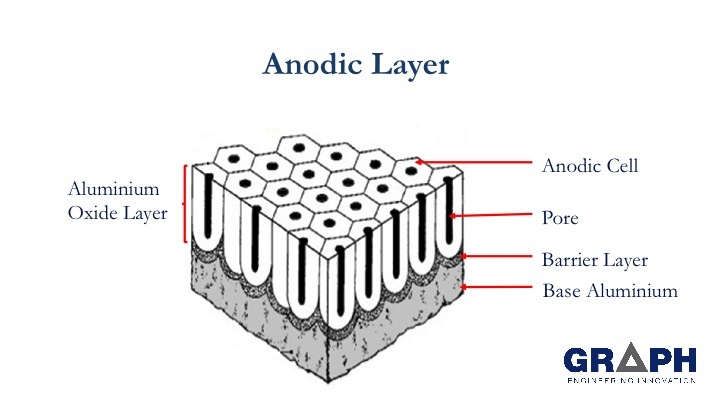 linishing to specific grit types and sandblasting of small parts) and is heavily involved in the development of new and innovative finishes through our R & D programme. Extruded Assemblies - 1800 x 1000 x 500 mm (l x b x w). Uploaded by AITAL Cameri on 2014-03-22.